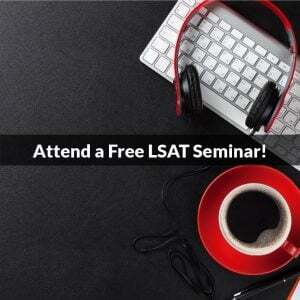 You are here: Home / LSAT Prep / 2020 US News Law School Rankings Released! 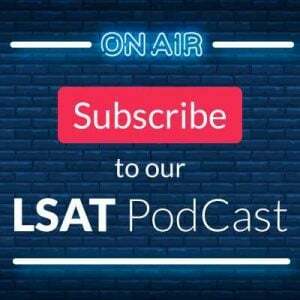 The 2020 US News Law School Rankings are out! We’ll break down some of the big news from the new rankings in a moment. But first, here’s our standard disclaimer about rankings. Please keep in mind that these rankings are just numbers put through an arbitrary formula that was created by a magazine that makes millions of dollars off of them, so use them at your own risk! The list below is numbered according to the new rankings, and the order for 2020 is listed on the far left. There is a column showing the position change (if any) from the 2019 rankings. Lastly, the columns to the right show the rankings for each of the prior seven years (2013-2019). Note the consistency at the top. The first seven schools retained their rankings for the third straight year. The most notable change came at the bottom of the vaunted Top 14. But the movements were small, up or down a single spot. While we only have the T25 listed above, outside that group the rankings tend to move in a more volatile manner. I am kind of discouraged about gw falling from consistently being in the top 25 to #30. As someone who was thinking about attending gw law this upcoming school year, do you think there is a cause for concern? Thanks for the question! While I can understand your concern, I wouldn’t overly worry about it. GW has been a solid school for a long time, and so they didn’t fundamentally get worse suddenly. Each year the rankings move around a bit, and they just happened to take a few hits here in the last two years. But, and this is key, they can also move the other way rather quickly (look at W+L this year, +12 spaces). The fact that GW was #20/21 for so long should give you some cause for comfort, as they can easily get back there again. Thank you so much for taking the time to answer, I really appreciate your input. If accurate, W&L’s current ranking is much more in line with historic trends. About three years ago, W&L took a nasty tumble in the rankings (dropping from 26 to 43 overnight). This 12-spot jump mostly eradicates those losses. It will indeed prove to be accurate. Spivey gets these early every year. It also supports my point that some volatility is to be expected, and that a drop now doesn’t mean that it’s permanent. I’ll be interested to see why W+L jumped back up, though. Just to confirm, Justin is right here–W+L used to be more highly ranked: #24 in 2012 and #26 in 2013. Right now all we have is the early look at the new rankings; we can’t see anything underneath those rankings. Depending on that, we might be able to determine what happened. Law schools can make conscious decisions that affect rankings, such as choosing to take fewer students in order to raise average LSAT scores. That might have happened here, and if so, the likely effect would be that W+L is back up for good. Hi. I’m a rutgers (Newark) 2 L. I was wondering if you had any info on why we jumped up so many spots? Additionally, it had been pretty hard getting summer placements. Do you think this will change anything? Thank you. No, the leaks didn’t have the underlying data that would help show why certain moves happened. For example, W+L jumped 12 spots but we can’t see why yet. 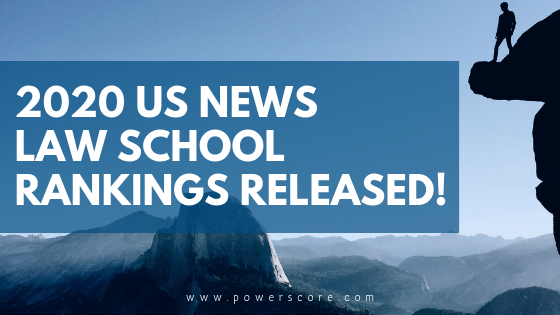 When the full rankings are released tomorrow by USNews, there should be some insights. Thanks for the great article Dave! I am contemplating attending Penn St – Dickinson and wanted to know what you thought about its jump compared to Penn St – University Park (since the campuses were “split” in the last few years)? Should we expect Dickinson to keep its distance (in the rankings) from University Park or do you expect them to come closer in rank over the next few years? At least for the short-term, I think the differential will stay. Dickinson has slightly better numbers, and that’s pushing it up vs University Park. Once you get out 4-5 years, then it’s really tough to tell what will happen. I’ve long thought that the actual Penn State experience presented by University Park will eventually draw better students, but Dickinson has access to better business and political centers currently and that is pulling in higher stats for them. I can’t tell for sure how that plays out over time, but right now Dickinson has the edge. So, short term the difference stays, but maybe no long term. Please provide your thought on the importance of a top 14 (or 13) ranking for first job placement. Also, while Georgetown dropped out of the top 14 if you are planning to study international law – with #2 ranking for 2018 would that overcome the overall ranking drop? We are getting divergent comments from recruiters and practicing attorneys as to importance of ranking past the fist 5 or Ivy. Lastly, if you had a choice between Northwestern at 10 vs GULC at 15 would you still emphasize international law ranking. We did not see an international law ranking for Northwestern. Is it ranked? Thanks for your insights. Thanks for the questions! The nice thing about the importance of the rankings to the job process is that we can measure it quantitatively, and thus opinion doesn’t have to play a big role here (although I realize that the rankings in part reflect opinion, but that’s the surveyed opinion of legal-field individuals such as deans and judges by USNWR, not mine). So, I often turn to the job data when answering this question, and I favor the LST Reports for reviewing job data, at: https://www.lstreports.com/national/. To see the true impact of rank, compare job and placement data at individual schools–it becomes readily apparent that with the more highly-ranked schools, the job outcomes are broadly better. More of the coveted biglaw and clerkship positions go to those schools, and typically those carry higher starting salaries. 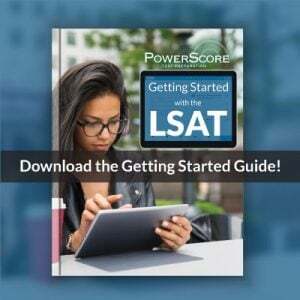 whether the T14 is worth the money is a different question, and one that I have covered in depth with students over at http://blog.powerscore.com/lsat/scholarship-vs.-prestige-when-to-take-th… (check out the Comments section for that article–it’s amazing!). As for GULC’s drop, over the years we’ve seen many a rise and fall in rankings, with some schools dropping or rising double digits. For example, in 2012 Washington and Lee was ranked #24 and then they fell to 26, then 43. In 2015 they crept up to 42, then 40, and then this year they leapt back up to 28. The T14 was notable simply because none of the schools had dropped out of the T14, and then Gtown stumbled this year to #15 (which is hardly a significant drop, and would have received minimal coverage if it wasn’t for the seeming permanency of the 14 in prior years). As a point of reference, I think it’s very possible that next year they are back in the T14, and you can bet they’ll work hard to make that happen, just as Texas will work equally hard to keep their new #14 spot! So, does the International ranking offset that drop? Yes and no, so let’s talk about it in relation to your final question. For the last question, I often don’t consider specialty programs all that much because in the general legal arena a specialty ranking isn’t typically considered. For example, in a job battle for an environmental position, the Columbia grad is going to have an advantage over the Vermont grad despite the fact that Vermont is ranked #1 by US News in Environmental law. In other words, the general rankings speak louder than the specialty rankings. Now, that doesn’t mean that the specialty rankings are useless. There are schools out there that are well-known for certain specialties, such as NYU in tax and yes, Gtown in International law (that DC location and the excellent School of Foreign Service are a big help there). So, that will definitely help you if that’s your area of interest and you attend Gtown. And as I mentioned above, that rankings drop was just *1* place–it’s virtually meaningless. The bottom line here is that you shouldn’t worry about small moves in rankings. Instead, look for the school where you can excel and where you like the environment. Getting good grades is by far the most important thing you can do for job prospects, and killer first year grades will matter far more than specialty programs or even 5 rankings spots between #10 Northwestern and #15 Georgetown. I hope that helps a bit, and good luck with the decision. Please let me knwo what you decide. Thanks! I would be very interested to hear your thoughts on William & Mary’s decline over the past few years in ranking? I was recently accepted, and am interested in the school but very concerned about this continuing drop in ranking. Why do you think the ranking has dropped this much? Should it be something of concern? I appreciate your time and thoughts, thank you! See how the 75th drops down slowly but then the 25th nosedives? that paints a picture where they let in a lot more people in the 157-160 range then they did before, and that definitely affected their rankings numbers. The story at UVA is pretty clear: they protected their numbers (the slight drops you see happened everywhere but theirs is much smaller a drop than at W&M) but they did by dropping class size (and hence revenue). 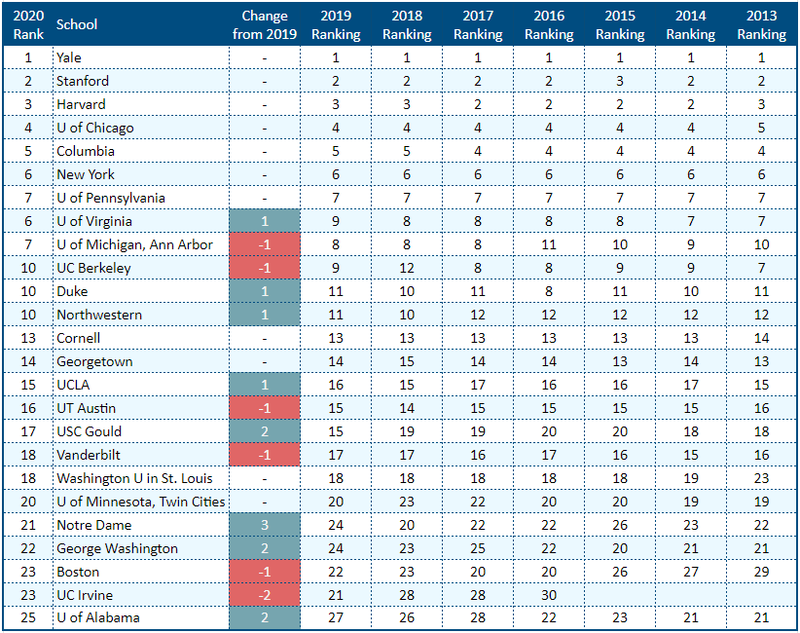 The better schools protected numbers by shrinking in size, but not all schools did that, and the ones that kept class sizes similar to the “old” days typically saw a decline in numbers, which often then translates into a rankings decline. Whether W&M reverses this trend is up to them, but it will cost them money to do so. Call and ask them about it, and please let me know what they say. If this has been helpful, please let other people know that PowerScore was helpful to you. We’d really appreciate it no matter what forum or site it’s on. Thanks! I was wondering about your thoughts about the University of GA. I am thinking about attending there in the fall and they seem to be consistently moving up in rank. Do you think this trend will continue? Personally, I think UGA is a great school, and Athens is a cool town! I’ve been there many times and am overall a fan. They’ve got solid funding there, and there’s nothing suggesting they will suddenly see a rankings drop. So, it’s not this massive upward trend, but really a very normal movement in a fairly narrow band. I see no reason why they won’t stay in that relative area going forward. and even if they did drop slightly, they still have proximity and deep connections into Atlanta, and no one there (or in most places) really cares if they are 29 or 39. My take on rankings is that they have a very good broad use, and largely the rankings reflect certain things about job opportunities (as in, school #6 is going to have typically better job outcomes than school #26). Relatively small movements like Georgia’s are meaningless. Most important is how comfortable you feel at a school, and how well you can perform there. I’ve had more than one student go to a school because it had a slightly higher rank than the school they preferred, and then later tell me they wish they’d ignored the small rankings difference because they think they would have had better grades at the other school simply on the basis of how they felt about their environment. So, overall I see nothing stopping UGA from staying where they are, but I don’t see a big increase or decrease in the near future. It’s a great environment though, and if you like it, you should expect that their ranking will probably somewhere similar to the above come graduation. Hi there! I know this is an old article, but I have kind of a niche question. I was wondering when the rankings are usually released. I noticed this article from 2017 was published on March 8, but the rankings last year weren’t officially released until March 20. The reason I’m asking is because I was accepted to Pepperdine, and as you know, they were left off of the rankings this year as a result of their reporting error. Pepperdine is my top choice currently, as I got in with a full tuition scholarship and my desired market is Southern California; however, I’d like to take a peak at their 2020 ranking before pulling the trigger. Thanks. Yes, it’s usually in March so there’s not much to do now :/ Pepperdine has been ranked anywhere from 49 to 72 in the last decade, with the lower rankings coming up recently (they were 72 before this past year). I feel they were punished harshly last year for the reporting error, but that they will likely rank in the 60s or 70s again (that’s not a guarantee, just an expectation). Until they come out, we won’t know though!